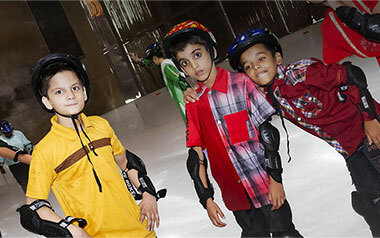 rollicking skates draw the staging moments. Are you bored of repeating day to day activities? Yes! Arena have created fun place for you, where you can enjoy different gaming activities in fully air conditioned and secure environment. 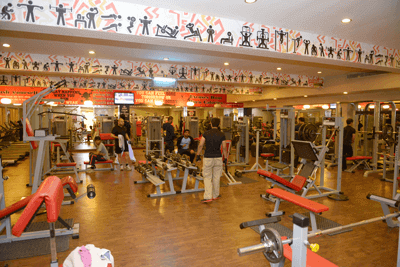 Place like arena modernized the way you have never created fun at any other place before. Whether you want enjoy bowling, Ice Deck, Arcade Games or, other fun activities, arena designed games to create fun as well as to build skills for ages that have never experienced before. 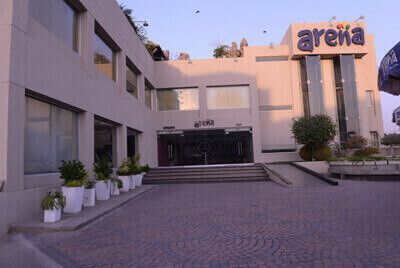 Arena is made for you to have fun with various entertainment games at one place. 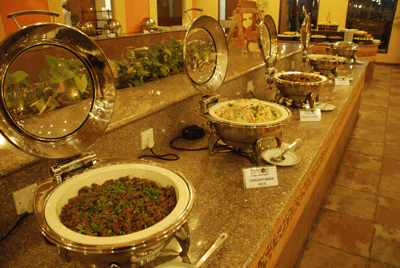 *The amount of entrance is adjustable in food and games. You and your family can utilize non-refundable amount within gaming area, food at Cafe Mist (Fast Food Restaurant) and enjoy your drink at Bar Counter. Have you ever taken time to adventure in your busy life? No! Most probably you don’t have much time for this but Arena is near to you now. Come at our place. 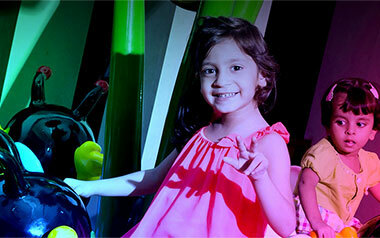 Make you child happy by giving adorable and colourful children’s rides. 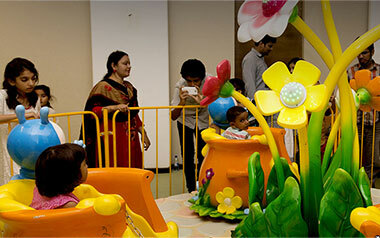 Be the first to give try on kiddy rides then be sure to tell your friends about it. Are your kid adventurous personality? No! 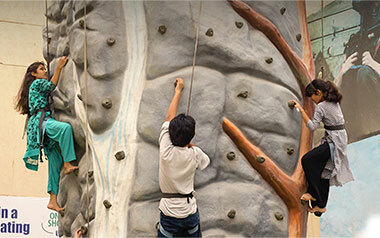 Bring your kids at Arena, give your kid a try on exploring the Jungle Jim like zone, which combines entertainment for kids called the Just Kid-ding. Its’ time to hit the ball! 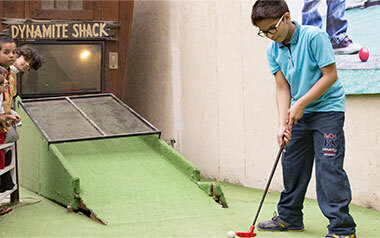 Now arena gives you an opportunity to play miniature golf like game. Maybe it is your dream not to hold only golf stick but also to play one shot game. Fun & adventure for children & adults! Are you bored with the inactive participation, and searching for something active? If your answer is yes! Right here, come with us! As time passes but childhood still exist in young hearts. Let’s try our brand new games, spread over 5,000 square feet. 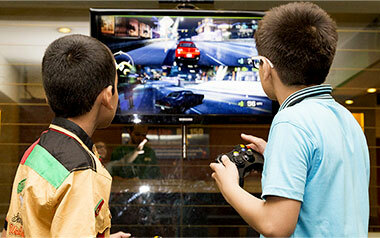 You and your children can play more than around 25 games in cool and funny environment. 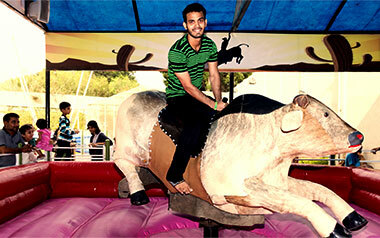 Rodeo Bull, unpredictable creatures! May be you and your boy want ride on and want some extra ordinary excitement. Its’ high time to deal with change attitude of most dangerous bull. Whether you are a bowler, keeper or fielder, you are sure to enjoy bating and to improve at the same time! 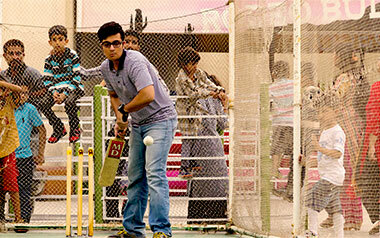 Arena provides you an opportunity to practice and enjoy your batting with machine. A zone for latest video games. You are player and you are control. 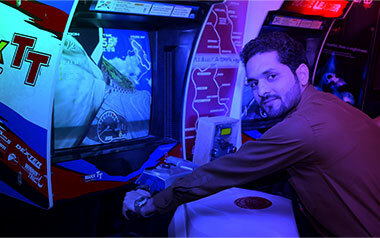 Yes this is sensor based game zone. Let’s play with us! 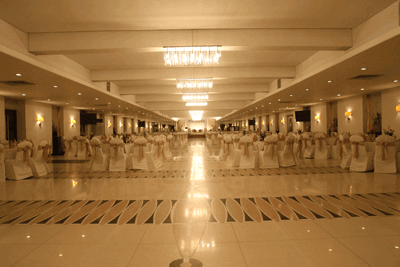 Groom your personality and strengthen and know your skills by playing various games from list provided. Feeling tired of your work and want unwind, charm in life after work? 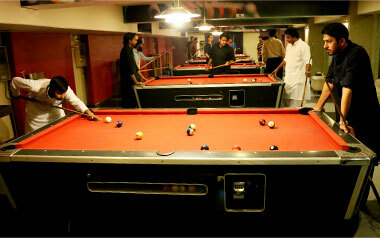 Place to hang out with your family or friends and Shoot some pools and know your asset what you are made of.